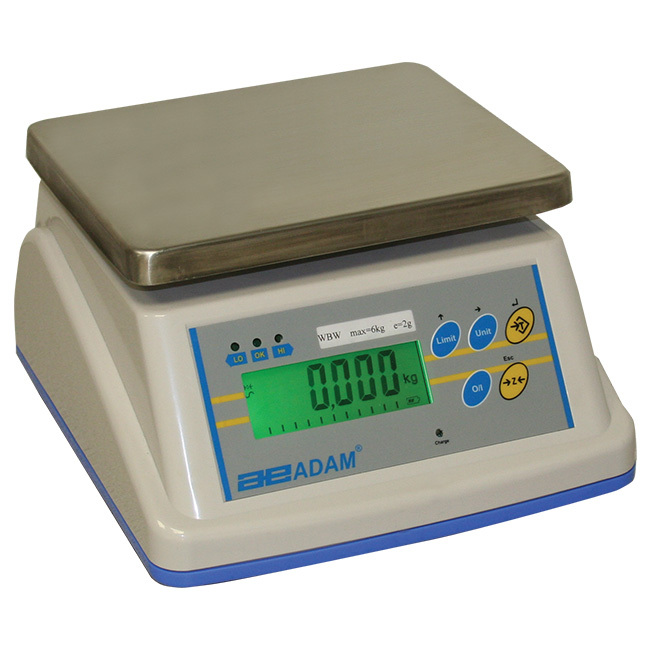 Ideal for food preparation, food processing plants, agricultural facilities,and more, WBW scales feature IP65 rated wash down housing and a large stainless steel weighing pan. Colour indicators for Under, Ok, and Over limits make check weighing fast and easy, and a brilliant backlit LCD with capacity tracker, indicators for overloads, low battery, and auto power-off, make the WBW very user friendly. They operate with an AC adaptor or rechargeable battery pack for portability; both are included.